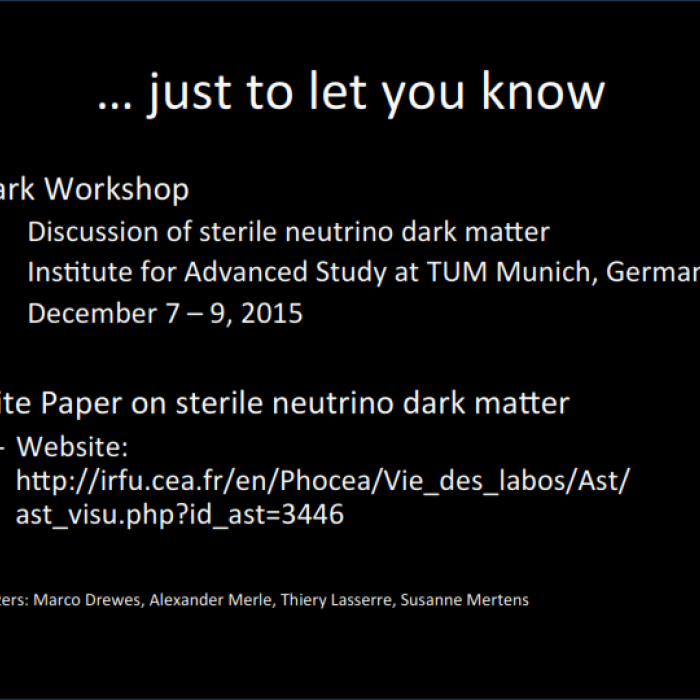 The ν-Dark 2015 international workshop will be held in Garching, Germany, from December 7 (morning) to December 9 (afternoon) 2015, at the Institute for Advanced Study of the Technical University of Munich. 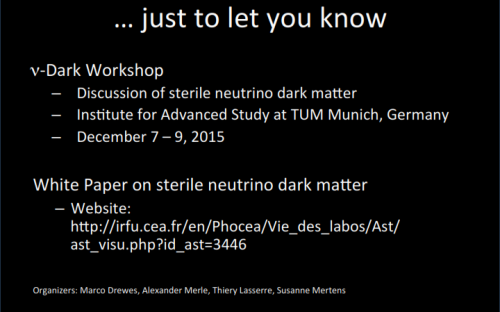 This workshop is devoted to review the evidence for and against - keV scale - neutrino as a possible warm/cold Dark Matter candidate. At the crossroad of particle physics, astrophysics, and cosmology, the observational constraints, the production mechanisms in the early Universe, and the experimental perspectives will be discussed. In collaboration with TUM-IAS, TUM E15, CEA, Invisibles Network and MPP. NuDark workshop is an event associated to the Invisibles network.